Marks & Spencer isn't probably your first thought when you're in need for some new beauty products or just want to browse through beauty shelves. 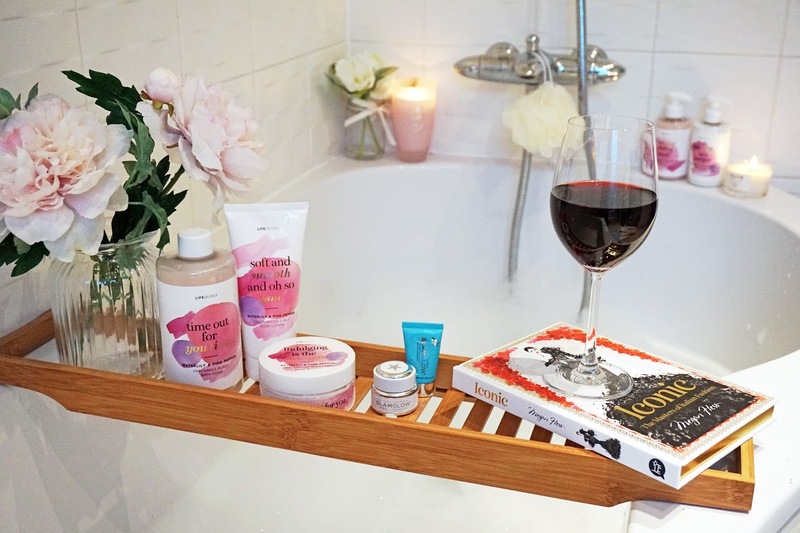 I know it wasn't mine until I started working with their beauty team earlier this year and I realised that M&S Beauty Hall has so much to offer you'll be able to shop for all your beauty essentials (or not so much) right after you've done your grocery shopping. 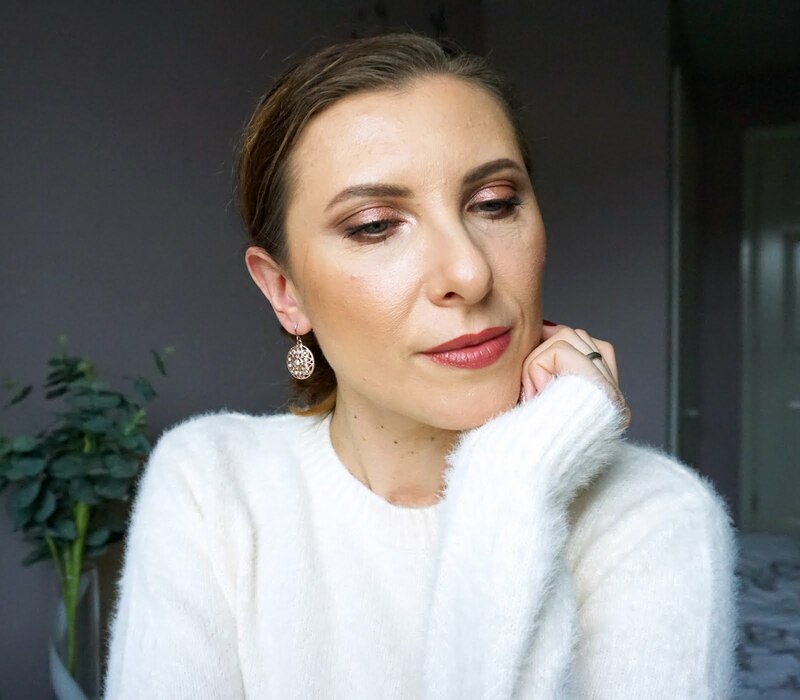 They stock a variety of brands, from their own ranges like Autograph, Rosie for Autograph (check out my review) to well known brands and some of my favourites like Pixi, Origins, Nuxe, Ren, Emma Hardie and many more! 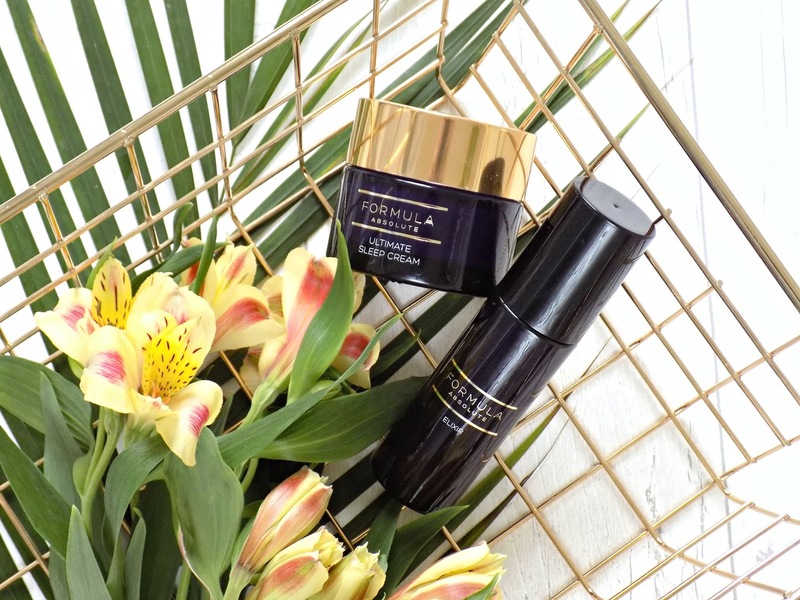 Today I want to share with you my thoughts on two products from the M&S's own range, Formula Absolute, which have been in my routine for a while and I think they're worth checking out, especially for those of you who are in their 30s and over. Aqua, ethylhexyl methoxycinnamate, homosalate, niacinamide, isododecane, c10-18 triglycerides, pentaerythrityl distearate, butylene glycol, butyl methoxydibenzoylmethane, isodecyl neopentanoate, glycerin, sucrose polystearate,octocrylene, hydrogenated tetradecenyl/methylpentadecene, butyrospermum parkii (shea) butter, phenoxyethanol, sodiumpolyacrylate, sodium stearoyl glutamate, tocopheryl acetate, parfum, cetyl palmitate, trehalose, urea, caprylyl glycol, sclerocarya birrea seed oil, aleurites moluccana seed oil, disodium edta, sorbitan laurate, chlorphenesin, serine, hydroxyethylcellulose, acetyl dipeptide-1 cetyl ester, carbomer, pentylene glycol, potassium phosphate, sodiumlactate, algin, glycerylpolyacrylate, polysorbate20, sodiumhyaluronate, bht, pullulan, disodium phosphate, ascorbylpalmitate, tocopherol, citric acid, palmitoyl tripeptide-1, palmitoyl tetrapeptide-7, ci 15985, ci 19140. Quick look at the ingredients list got me immediately excited about this serum because one of the first ingredients is Niacinamide which is very beneficial for our skin and mine really loves it. Also known as Vitamin B3 and Nicotinamide, Niacinamide is a water-soluble vitamin that works with the natural substances in your skin to help visibly improve the appearance of enlarged pores, uneven skin tone, fine lines and wrinkles.. Another helpful benefit of Niacinamide is that it can help renew and restore the surface of skin against moisture loss and dehydration. Niacinamide increases the production of ceramides (an essential component of your lipid barrier), keeping the skin strong and preventing Trans Epidermal Water Loss (TEWL). The serum has a very silky texture which feels smoothing on the skin and light scent which dissipates quickly. It absorbs in seconds leaving the skin nicely hydrated. Apart from Niacinamide the serum contains many ingredients which help to hydrate and nourish the skin like Glycerin, Sodium Hyaluronate and Shea Butter, Marula Oil, Kukui Seed Oil. Peptide complex, Vitamin E and C are great at fighting signs of skin aging so I'm always happy to see them amongst other ingredients in my skincare products. I've been using the Elixir for well over a month at least once a day (during my 2 weeks holidays I used it twice a day as it was my only serum I had with me) and I am really enjoying it. I think it keeps my skin in check, visibly smoother and glowing. 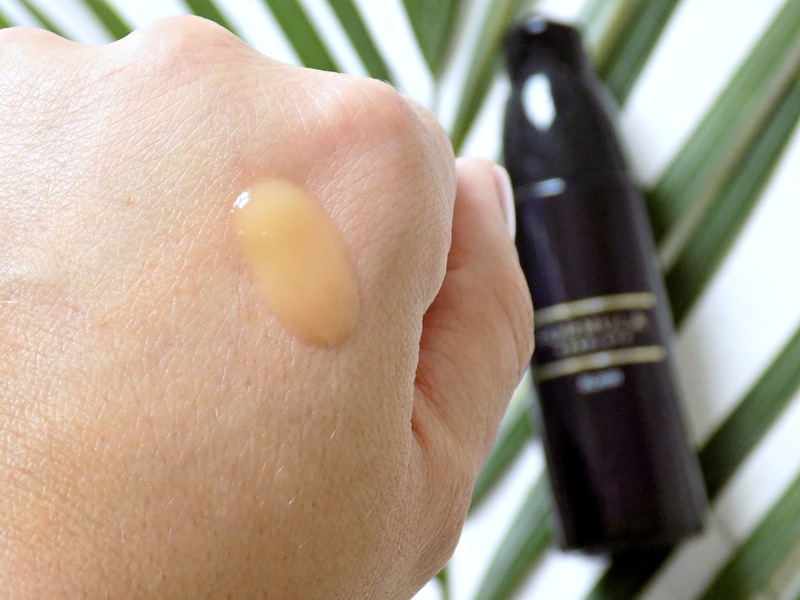 I was a bit hesitant about using it every day because of the Shea Butter content which usually is a bit too heavy for my skin and it clogs my pores but I didn't experience any of it during the time I was using the serum exclusively which is great. Being back home I now use the serum every other night as I have started testing out some other products but I still keep it in my routine as I think it works well for my skin. Aqua, isododecane, niacinamide, c10-18, triglycerides, isodecyl neopentanoate, butylene glycol, cera alba (beeswax), isononyl, isononanoate, dimethicone, hydrogenated, tetradecenyl/methylpentadecene, glycerin, sucrose, polystearate, glyceryl, stearate, peg 100stearate,behenyl alcohol,butyrospermum, parkii(shea)butter acrylamide/sodiumacryloyldimethyltaurate, copolymer, phenoxyethanol, isohexadecane, tocopheryl acetate, parfum dimethicone, crosspolymer, trehalose, urea, caprylyl, glycol, benzophenone-4, cetyl palmitate, sclerocarya birrea seed oilaleurites, moluccana, seedoil, disodium, edta, sorbitan, laurate, polysorbate, 80 chlorphenesin, serine, sorbitan, oleate, hydroxyethylcellulose, acetyl, dipeptide1cetyl, ester, carbomer, pentylene, glycol, potassium, phosphate, sodiumlactate, align, glyceryl, polyacrylate, polysorbate 20, sodium hyaluronate, pullulan, disodiumphosphate, sodium benzoate,ascorbyl, palmitate, tocopherol, tetrapeptide-26, citric acid, palmitoyl tripeptide-1, palmitoyl tetrapeptide-7, ci 15985 ci 19140. 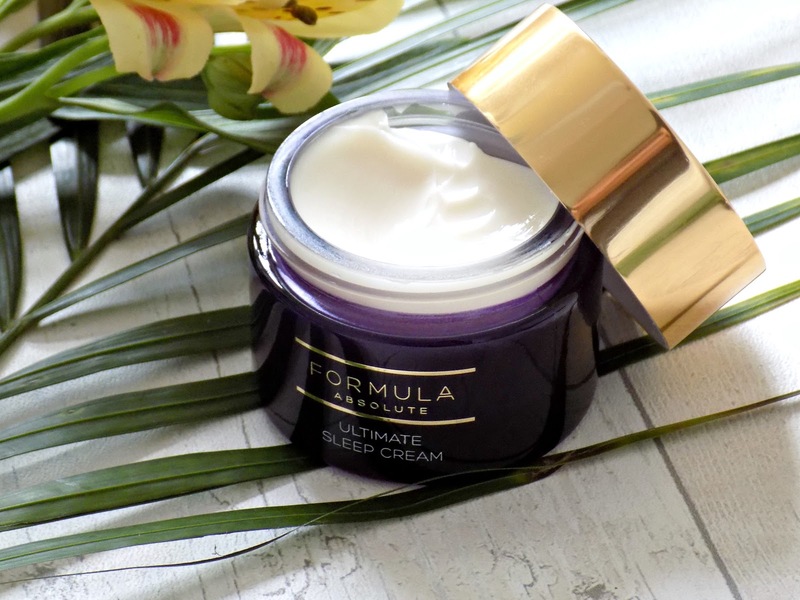 I had a travel size of the Ultimate Sleep Cream a while back and I used it up so I was happy to have a full size back in my life as it really is an amazingly nourishing and hydrating moisturiser which truly makes your skin look more rested and healthier in the morning. It contains very similar ingredients list to those in the Serum so it's a lovely concoction for my skin, apart the Shea Butter content, but I limit using the moisturiser to 2, 3 times a week and I've not noticed any skin issues. The cream feels silky and rich but not heavy or greasy and it's a fantastic night time treatment for mature or/and dry skin. I love using it especially after exfoliating or clay face masks as it nourishes my skin overnight and I wake up looking much better, with my skin being plumper, softer and glowing. I was kindly sent some other products from the range so once I've given them a go I will let you know, possibly on my Instagram, if they're worth checking out but so far I'm quite impressed with the M&S skincare. Have you tried anything from M&S Formula range? Which other products with high content of Niacinamide can you recommend? Disclaimer: This post contains PR samples* sent to me for consideration. Some of the links might be affiliated as I use Skimlinks on my site, check out my Disclosure page for more details.